By any measure, Lebbeus Woods is one of the most original architects working today. His body of theoretical work focuses on buildings of crisis, whether marred by major earthquakes, suffering the effects of economic embargo, or damaged by war. Since the destruction of the World Trade Center, his designs have taken on new meaning and significance. In The Storm and the Fall, Woods brings his visions to a new depth, moving them from feverishly rendered drawings to three-dimensional space. The book focuses on two recent Woods installations - one at the Houghton Gallery at New York's Cooper Union, the other at the Fondation Cartier pour l'art contemporain, Paris - that address the role of today's architecture. The Storm critiques the geometric box that rules most building designs and proposes instead a dynamic field of potential energy, represented by a complex array of vectors. 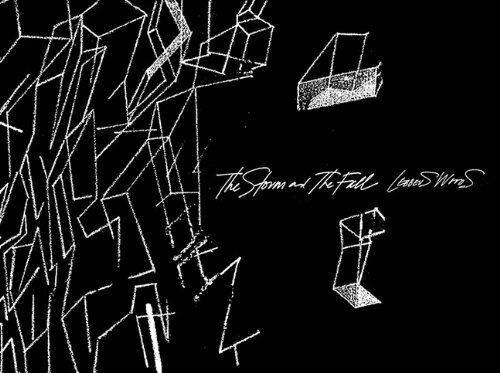 The Fall crystallizes a built space in the midst of collapse, witnessing a moment too brief to inhabit - except in imagination. Both pieces are explored in Woods's powerful sketches, renderings, models, and constructions, exposing the mutations that enable them to be. A postscript of his hopeful design for a new World Center relates even more of his ideas, and essays by Anthony Vidler and Paul Virilio offer insights into the significance of the work. Lebbeus Woods is widely regarded as the most exciting and original architectural visionary today. His body of theoretical work and extraordinary drawings have served as inspiration for architects, artists, and legions of students.